There are 3 dog parks and 2 off-leash areas in the Snyderville Basin area. Dog Park hours are dawn to dusk. Please make sure that your dog is leashed until in the dog park. Please watch for Mutt-Mitt stations throughout the dog parks and at the Run-A-Muk trailhead. Please pick up your pet's poop. We hope you and your pet enjoy the parks! Willow Creek Park is an enclosed 2.4-acre fenced area with grass and a large dog-friendly pond. The pond features both a zero-entry point on the east bank and a floating dock for the most adventurous dogs. 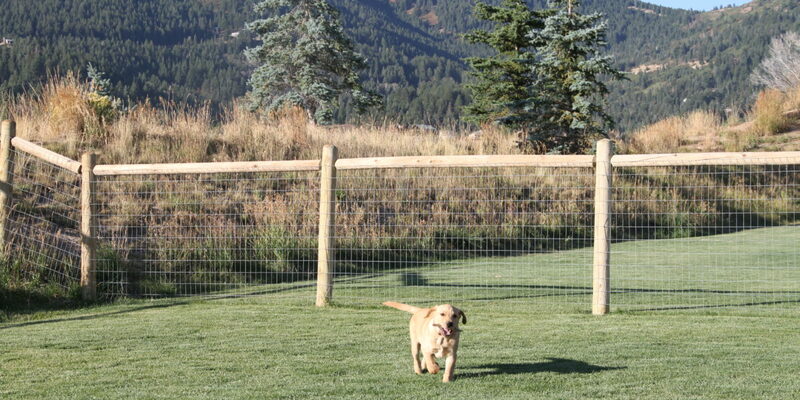 Inside the dog park, you will also find a 1/3-mile soft surface trail and 24,000-square-feet area of "fetch" space. The dog park features an agility course for your furry best friends and 3 small shade shelters for owners to enjoy while keeping an eye on the pups. 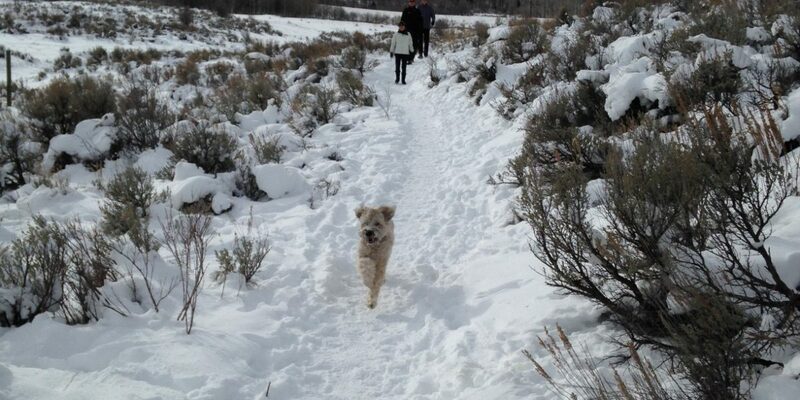 Trailside Park has a park for the small dogs and a park for the big dogs! Both have sodded and natural surfaces for the hounds to run and play. Benches and shade shelters are provided for the owners to relax while the dogs enjoy the park. In Trailside Park, there is also a 1-mile off-leash trail where your dog can run free but pay attention to the signs identifying areas where dogs must be on leash. The Woods at Parley's Lane provides a small, yet beautiful spot for your pet to play off leash. 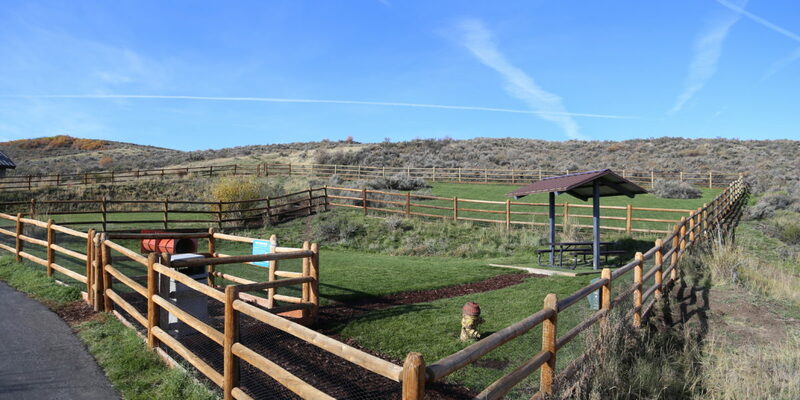 This half acre dog area has training/exercise features to keep your four-legged friend fit and healthy. While your pet burns some calories, you can rest on the benches provided. The Woods Trailhead provides options to extend your time with your pet (on leash). Run-A-Muk Trail area includes approximately 2 miles of trail to wander with your dog or 43-acres to let him/her run free. 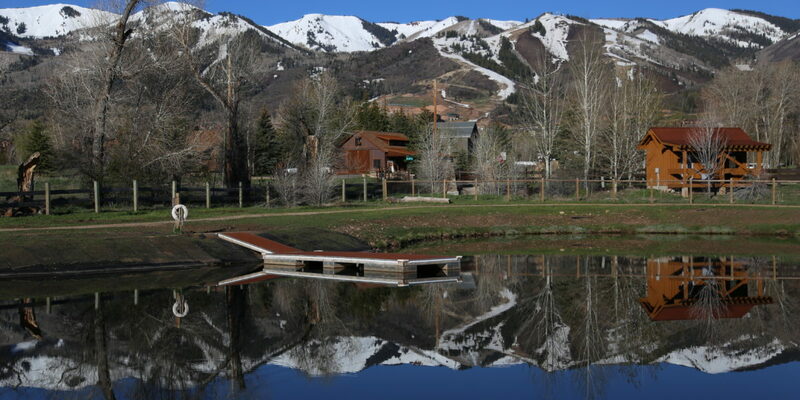 The trail wanders through aspen groves and open shrub lands with great views of the surrounding hills and ski jumps at the Utah Olympic Park. This is a wonderful way to get some exercise with your dog.